I walked past this little cove at Historic Yellow Springs, saw two pitchforks, and immediately thought "American Gothic." 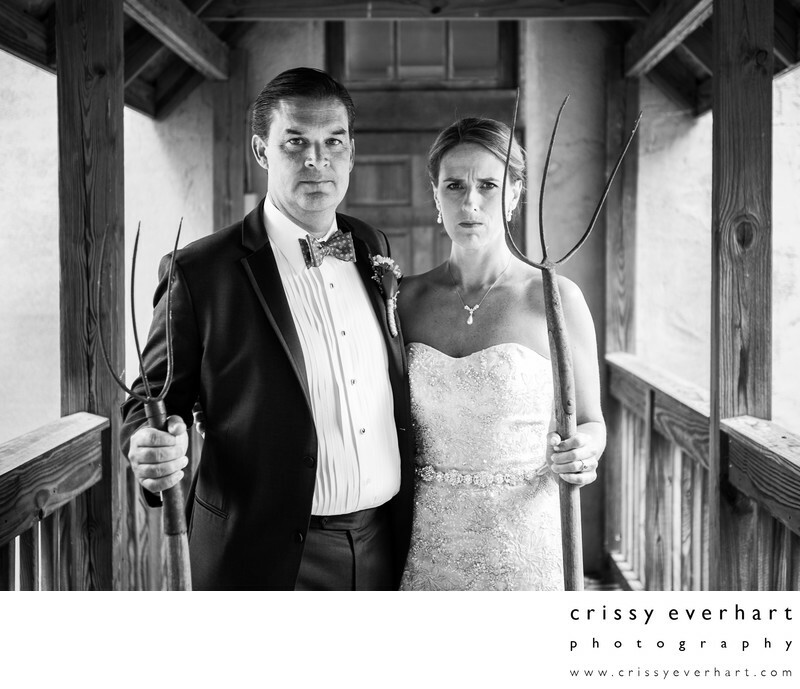 Luckily, my bride and groom were more than willing to play along. Historic Yellow Springs is a great wedding venue for smaller events, and it has a gorgeous outdoor ceremony area by a stone ruin. You can say your vows under a giant tree overlooking Chester County's Historic Chester Springs area.